Samuel R. Caldwell was the first person convicted of selling cannabis under the Marijuana Tax Act of 1937. On the very day the Marijuana Tax Stamp Act was enacted on October 2nd, 1937 the FBI and Denver police raided the Lexington Hotel and arrested Mr Caldwell, 58, and his alleged customer. Mr Caldwell became the first cannabis ‘dealer’ to be convicted under U.S. federal law. 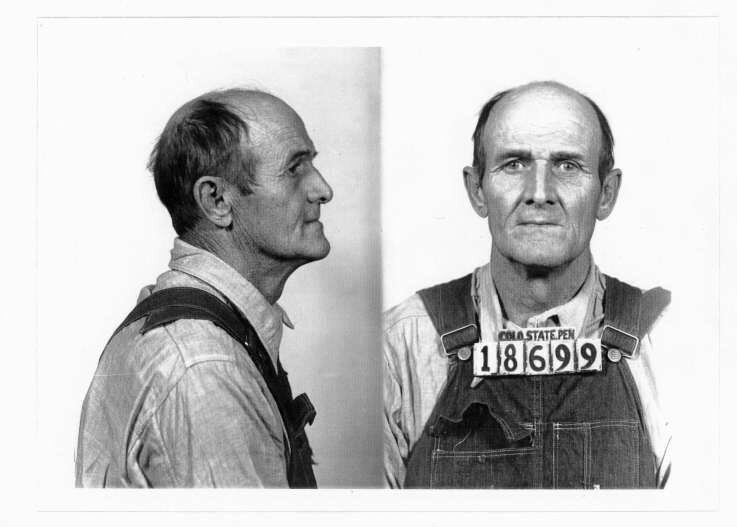 Samuel R. Caldwell sold three joints and was fined $1,000 and sentenced to 4 years of hard labour at Leavenworth Penitentiary, he was released in 1940, aged 60. He died one year later. In the UK, if you are ever unfortunate enough to be arrested for any cannabis related offense try to stay calm and remember that you are under no obligation to say anything to the police officers. You should not be intimidated or forced into answering questions until you have spoken to a legal adviser. Never resist arrest, even if you are innocent, to do so will invite a charge of resisting arrest and if you resist the police can use reasonable force and they will hurt you. Do not regard the arresting officers as someone who is there to help you, regardless of how they speak to you; it is the police officer’s duty to get you to incriminate yourself. Anything you say can and will be used as evidence against you. Do not speak to anyone apart from your legal adviser. If you’re arrested with somebody else do not talk to them about the incident. Police vehicles and holding cells are equipped to make video or audio recordings. You have a right to a phone call but the telephone you use will also be equipped to make an audio recording of your conversation, so be careful in what you say. You have the right not to incriminate yourself, it is the responsibility of the police to prove the charge against you.